Most people love consistency while fleeing chaos. A busy church tends to have so many messages and activities that even church staff aren’t fully aware of the busy calendar. People in the congregation hear the occasional announcement, but even those who regularly attend can’t possibly know everything about the church. Take another step into your community. They’re so far removed that they drive by the campus and barely give you a thought. Stuff going on in there? “Probably; but not for me”. We need to fix this. A thread is the easiest way. The blood of Christ is drizzled through the 66 books of the Bible. That scarlet thread unites the hundreds of stories and 31,000+ verses into a wholistic, united, book that communicates the love of Christ through His death on the cross. That’s the kind of thread we need in our churches. It’ll cut through the noise. The marketing saturated world that exists in our communities distracts and becomes chaotic. Since most are looking for peacefulness, they respond to a simple, consistent message. It’s like hearing a sustained note in a frenetic rock song, your ear quickly gravitates to it. 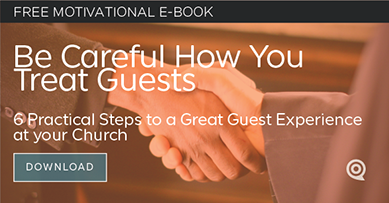 Simplifying your church events and efforts into a strong, sustained concept will get people to pay attention. It’ll focus your ministries. Left unchecked, churches tend to create ministry silos where leaders build walls around them so they promote their own individual efforts. They want to stand out so they can have success even if it’s to the detriment of the other ministries. Instead we need to support the “farm” rather than building the “silo”. When every ministry is united under a thread, their unison reaches farther than the rich harmonies of many silos. The challenge to unite under a thread will also focus every leader to be creative with the thread while supporting the corporate church. Imagine if everyone worked to build your central concept in the community! It’ll simplify your church promotion. 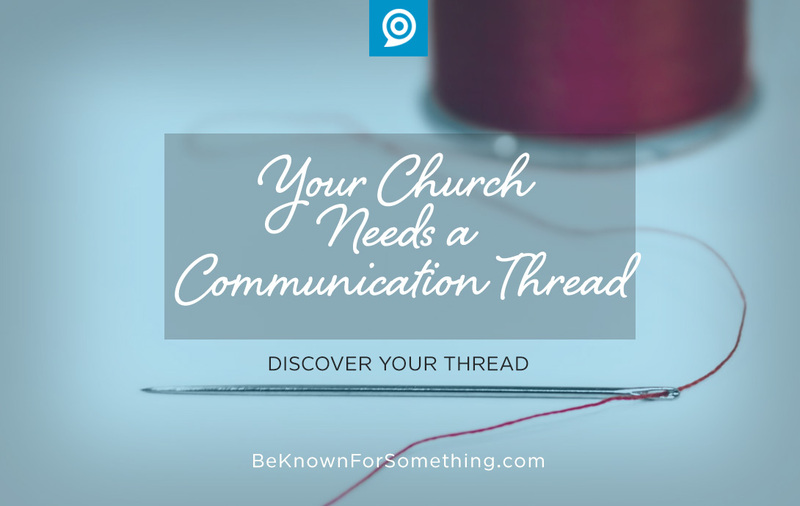 The goal of a good thread is to have a theme resonate into the souls of your congregation and community. Sure, there will still be a lot going on, but people will start seeing the thread everywhere and it’ll become the mantra of anyone who engages with you. When someone at the water cooler says “hey, you go to a church don’t you? Why do you like yours?”, they will have the words to say. It’ll be your thread. Because your thread is the reason someone would want to attend ANY ministry of your church. Sure, it may be interpreted slightly different for various age groups. But it’ll still be a thread. So, discover your thread today. It’ll unite your message, your content, your social media, your website, your outreach, and your vision. Just remember two things about the thread: 1) it has to be desired from the community’s standpoint and 2) it has to be easily connected to the Scarlet thread from the congregation’s standpoint. So that they can use it to introduce the gospel into the story of the church.